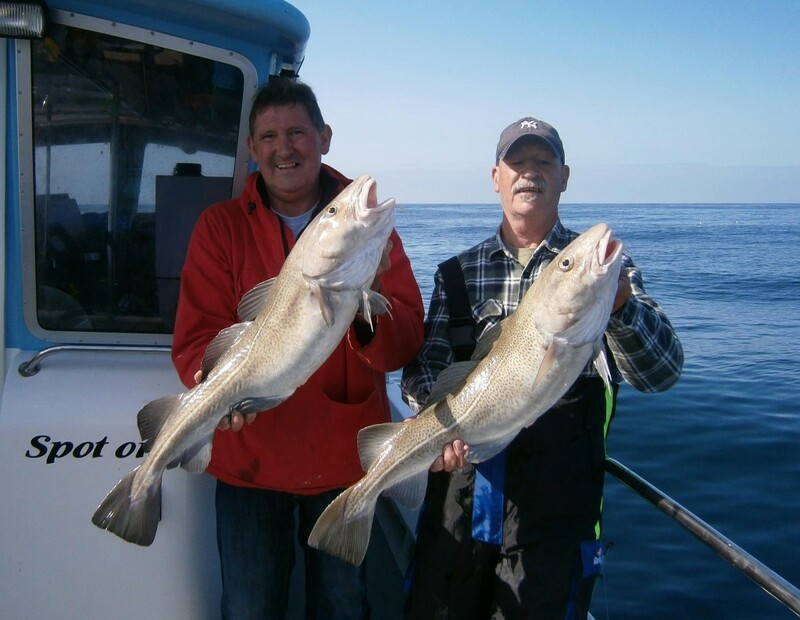 The good weather over the past week has ment that the charter fleet and private boats have been able to get out and find some great fish. 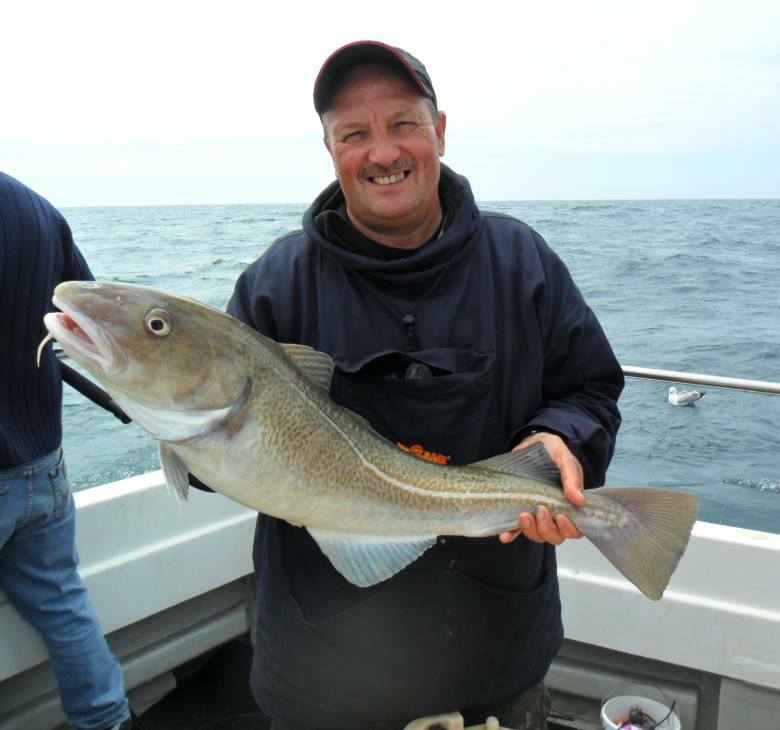 The wreck fishing seems to have exploded with Bass starting to show on the wrecks as well as huge Pollock and a few Cod. 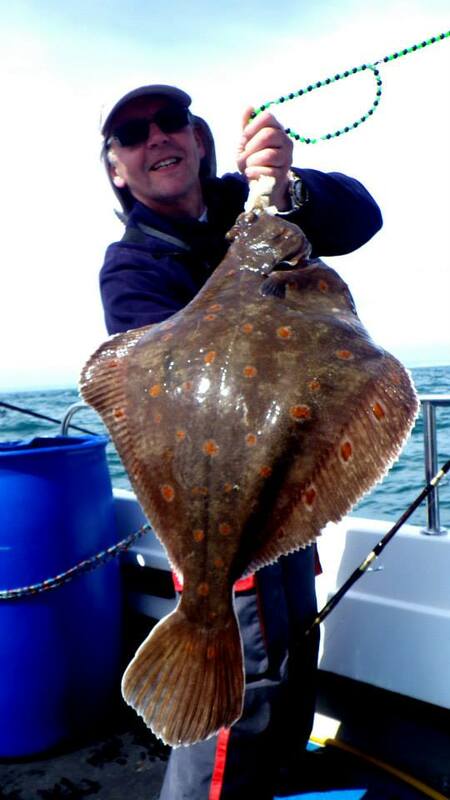 Inshore the Shambles and the Skerries of Dartmouth have been producing some fantastic Plaice. 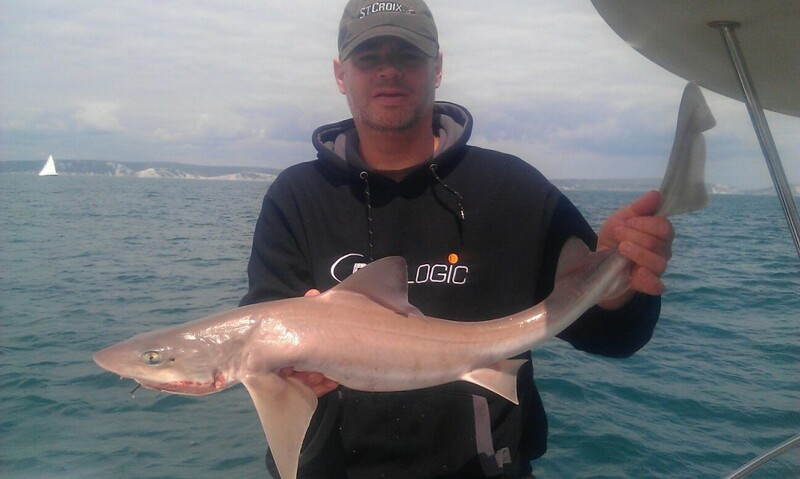 Mike and Andy from Chesil Bait n Tackle managed to get out on Andy’s boat, where Mike once again came out top with a nice Smoothound. 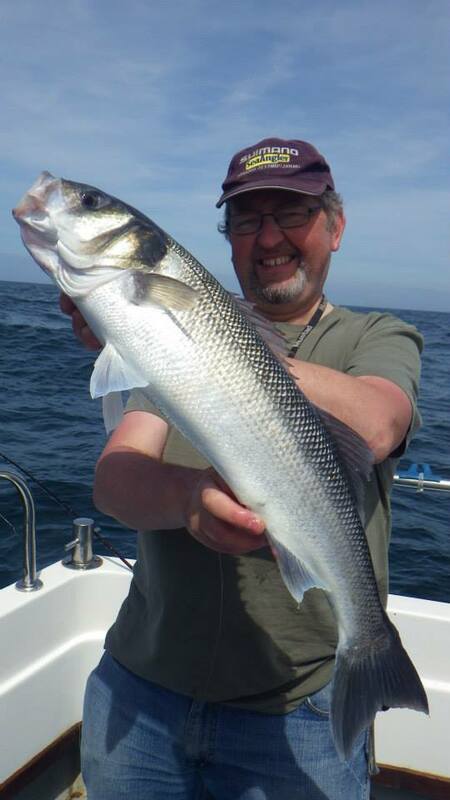 Chris Caines on Tiger Lily has been doing well as usual, with nice Bass and Turbot this week. 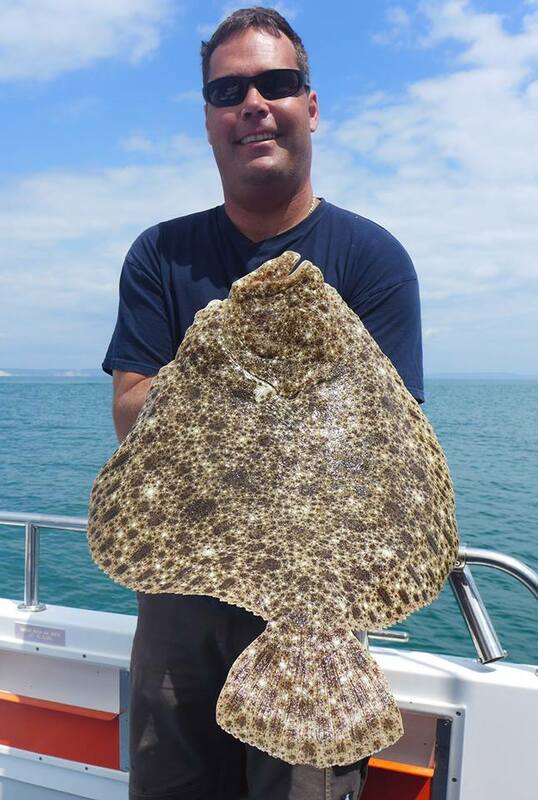 Lyle Stantiford has been encouraging young an old alike with some great fish including a lovely 11lb 4oz Turbot for Ken. 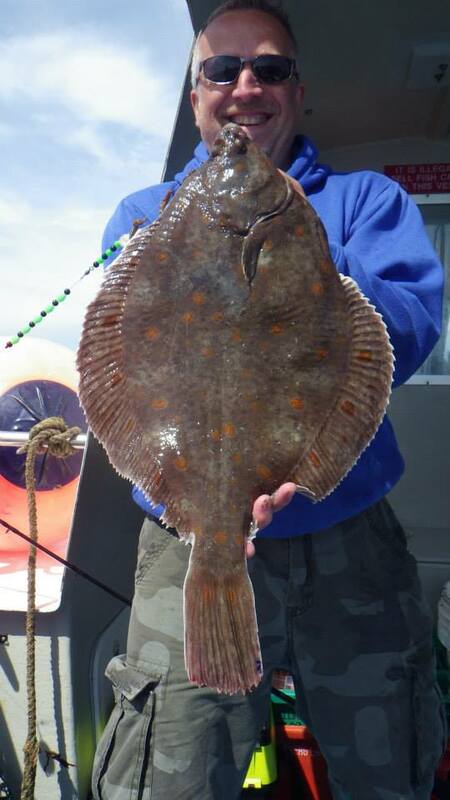 Kim and her young brother managed a fish I have been after for a long time on their first drift, a Brill, that anyone would be proud of. 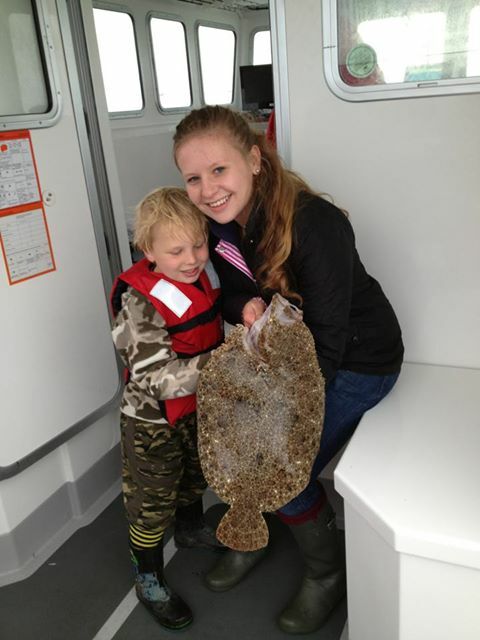 It is great to see such young kids getting into fishing. 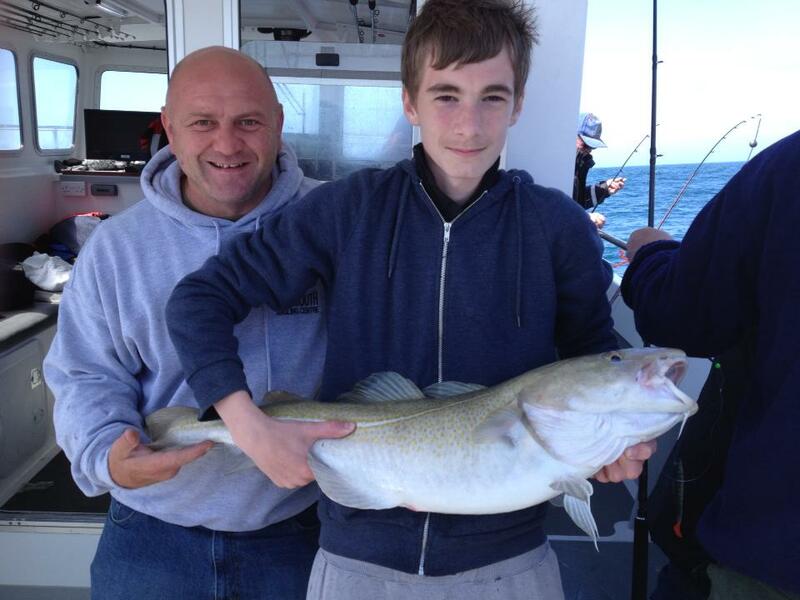 More family bonding with father and son, Lee and Kurt landing a nice Cod out on the wrecks, even Lyle managed one for himself at just over 20lb. 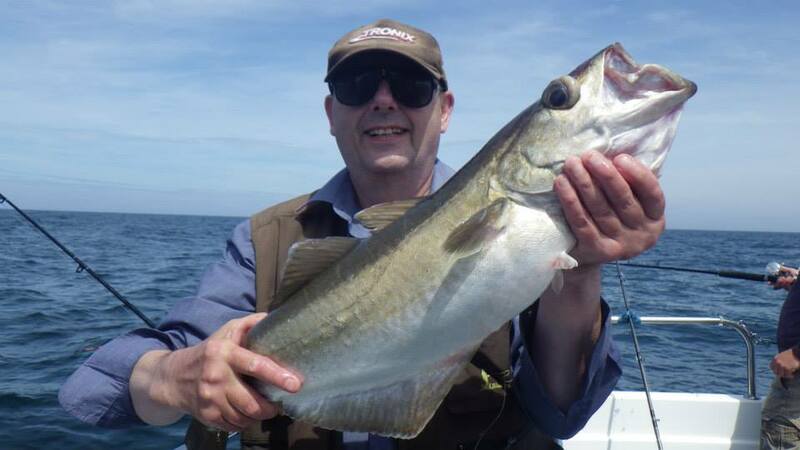 All great fishing but the man on fire last week seems to be Josh Simonds of Fish On. 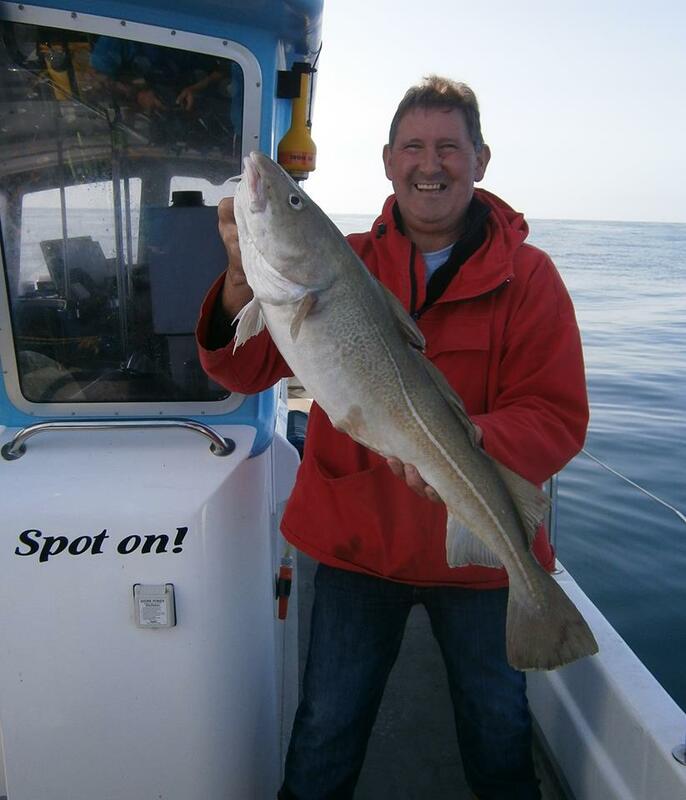 Some great wrecking with cracking Bass and Pollock and ore locally he has been getting his customers into some plump Plaice. 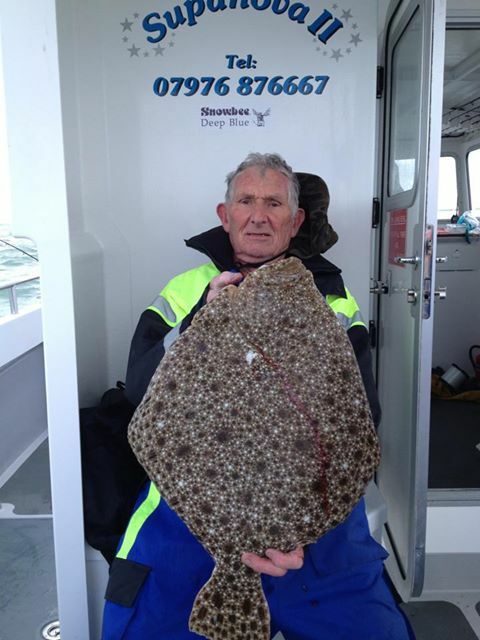 My favourite picture of the week is of a John Dory that they managed to catch. 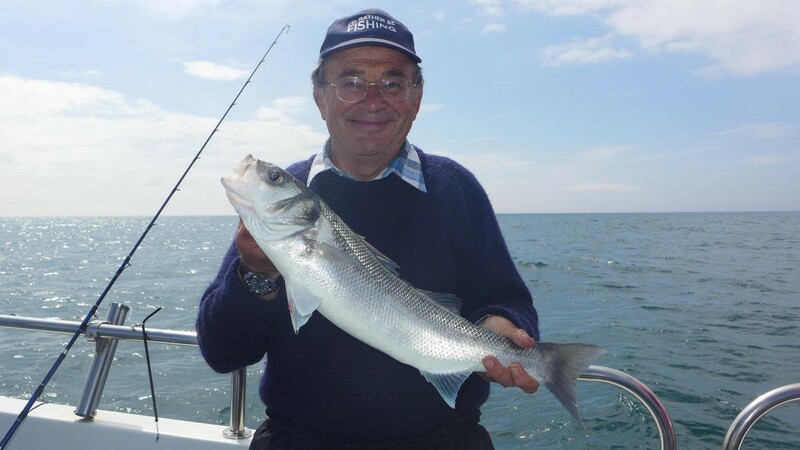 Another fish I have on my list of must catch fish. Going a little further afield this week with a quick look at how Spot On! 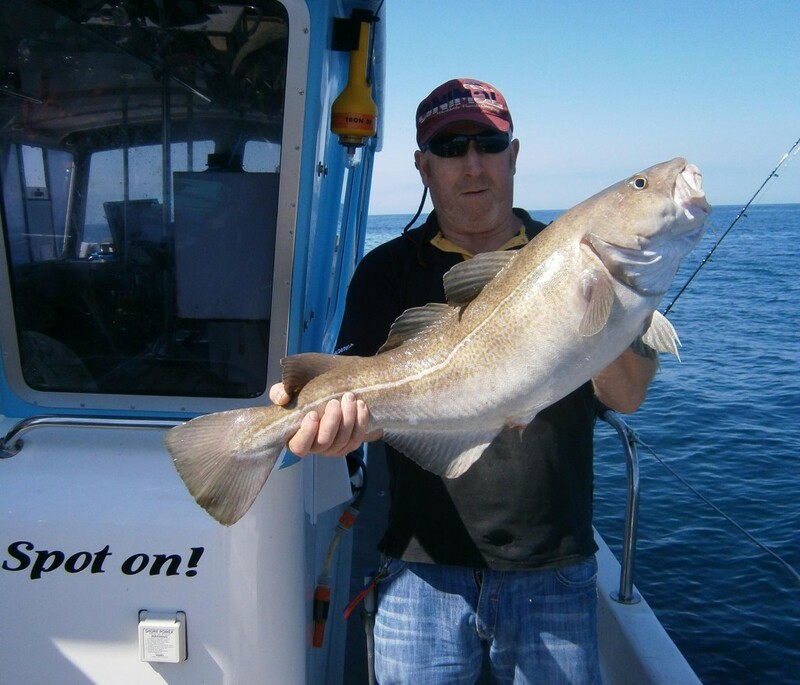 charters have been doing out of Brixham. 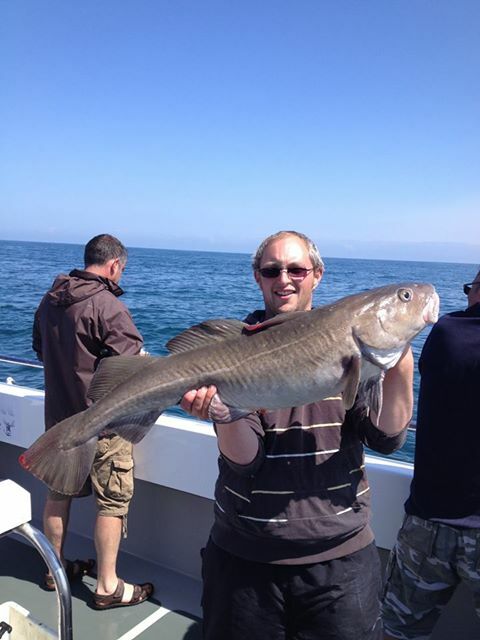 The largest of the Brixham charter fleet skippered by Ross has certainly been amongst the fish. 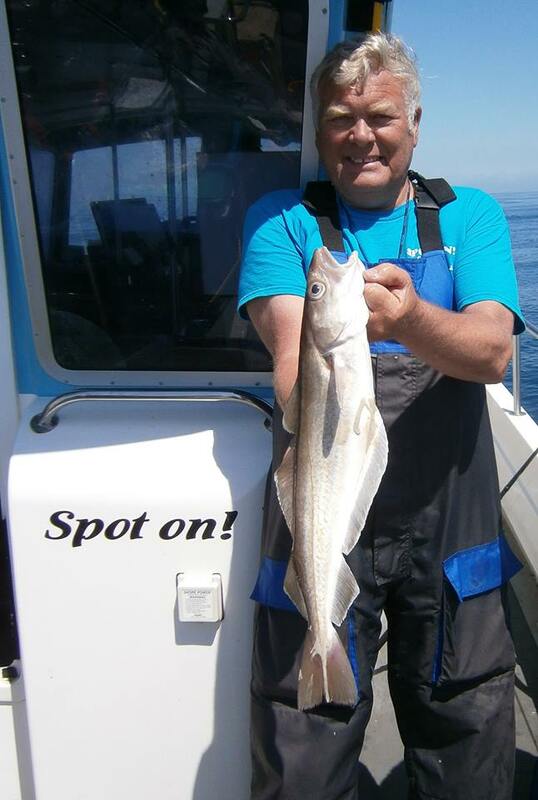 With numerous days on the wrecks with great results. 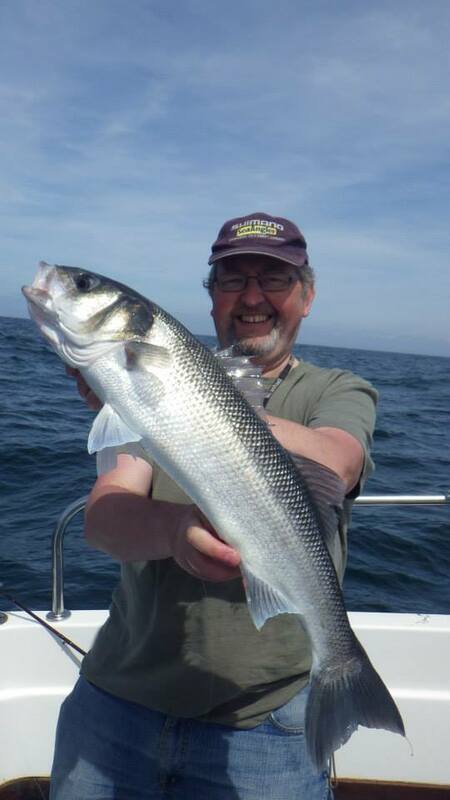 Lots of big chunky Cod and some stunning Whiting. 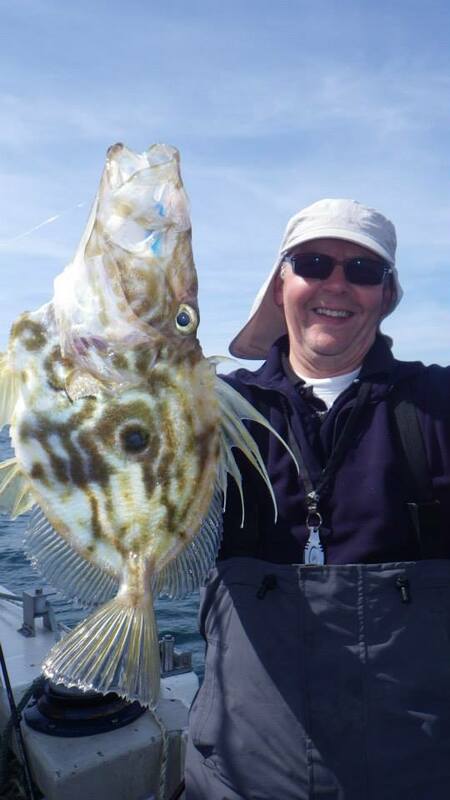 Ross has several days available for Plaice on the Skerries coming up. 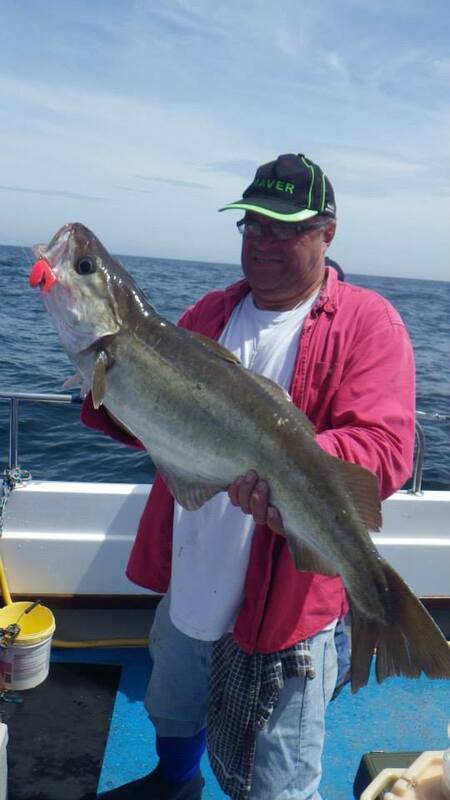 For information on the South Coast charter fleet look on the DeepSea Directory for all the contact details.